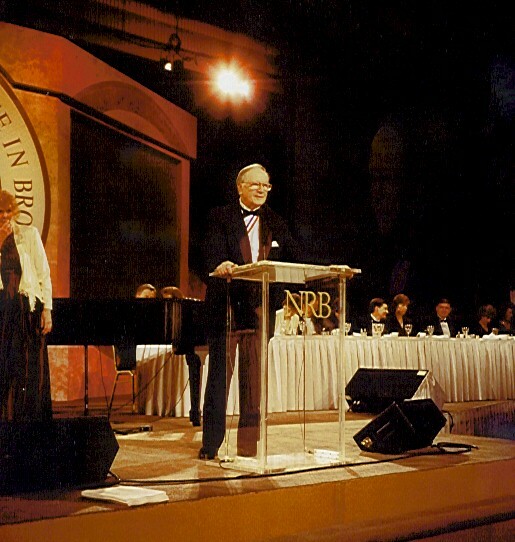 NRB Hall of Fame Induction at NRB National Convention February 3, 1998. Dr. Benjamin L. Armstrong, pastor, teacher, administrator, and broadcaster served as the first President / Executive Director of National Religious Broadcasters from 1966 to 1990. He played a key role in the development of Christian broadcasting in America and around the world. Dr. Armstrong took the helm of NRB at a critical time in American history. It was just a few years after prayer was abolished from public schools, and an assault on Christian broadcasting was soon to follow. He brought Christian broadcasters together to form a united voice in Washington, and under his leadership NRB grew from a handful of broadcasters to a dynamic organization attracting thousands of Christian communications together each year. 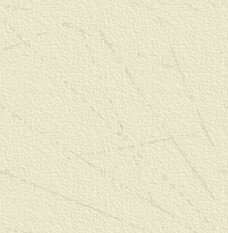 Today, NRB is the principal Christian media organization protecting and promoting the use of the media to share the gospel. Dr. Pat Robertson founder of CBN said of Dr. Armstrong, "He is a man with tremendous faith. He has a great vision and gives enthusiasm to other people." The late Dr. Jerry Falwell said, "I am not sure we would have an NRB if it were not for Ben Armstrong. Certainly we would not be the force for God and for good in this country that we are, without the leadership of Dr. Armstrong." The late Dr. Bob Cook, co-founder of Youth for Christ International said, "Early on, Ben realized the electronic media would be tremendously strategic in molding history and shaping society. We saw Ben moving media leaders to make the greatest impact for Christ in radio and TV." The late Dr. E. Brandt Gustavson, former President of NRB said of Dr. Armstrong, "Ben Armstrong took a ragtag bunch of people, unified us, and made a cohesive force. He did a lot to protect preaching the gospel on the airwaves." The Capital Hill offices of National Religious Broadcasters are named the "Ben Armstrong Center for Media Freedom." In the 1950's, Dr. Armstrong joined Dr. Paul Freed to launch Trans World Radio in Monte Carlo, Monaco. He served as director of radio for Trans World Radio until being chosen by NRB as its first executive director. His tenure at NRB lasted twenty-three years. He continued to travel extensively throughout the world, with a unique perspective of broadcasting the gospel to many cultures and lands. Dr. Ben Armstrong was inducted into the Religious Broadcasting Hall of Fame in February 1998, Washington, D.C. joining "Hall of Famers" such as Percy Crawford (1962), Donald Grey Barnhouse (1978) and Dr. Billy Graham (1981). Ben Armstrong served as adjunct professor of communications, Liberty University, Lynchburg, VA and as professor of practical theology at Faith Theological Seminary. He served on the board of the ROCK of Africa Mission, Tele-Missions International and Mighty Men of God. He also served as chairman of doctoral studies at Faith Theological Seminary in Baltimore, Maryland, and taught doctoral courses, Church Growth and The Churches Communication Technology. Dr. Armstrong was an ordained minister and member of the Philadelphia Presbytery, the first and oldest presbytery in the US, founded over 300 years ago. A seminal work, The Electric Church, was authored by Dr. Ben Armstrong. It chronicled the development of Christian broadcasting. The book challenged the church to seize and protect every opportunity using the electronic media. Dr. Armstrong’s 2002 tribute to his longtime friend, Billy Graham, is the opening chapter of the book, Dr. Billy Graham, A Tribute From His Friends. Dr. Armstrong served as coeditor and wrote the foreword, Christianity in Russia and Post Communist Europe published by the William Carey Library, Pasadena, CA. Dr. Armstrong had spoken and lectured in over 50 countries including seminars at Wheaton College, Bethany College, UTS/Columbia University, Biola University, Houghton College, Nyack College, Messiah College, Moody Bible Institute. He taught Mass Communications and the Gospel at the Christian Service College in Kumasi, Ghana, and was the Keynote Speaker at the Annual Convention of the Association of Christian Broadcasters (RNRB), Moscow, Russia. . Dr. Armstrong participated in key discussions to promote Christian broadcasting in Kenya, Tanzania and Uganda as the guest of Presidents of Uganda and Kenya His sermon at the National Cathedral in Kenya was featured in a television broadcast transmitted live to the countries of southern Africa. Ben Armstrong was born in Newark, NJ. He studied at Stony Brook School, Stony Brook, NY winning high school varsity letters in tennis, basketball and track He took college studies at Houghton and Nyack Colleges He was an honor student at New York University where he earned the coveted Founders Day Award. Ben majored in communications and was awarded the Bachelor of Science degree at NYU. He took theological studies at Princeton Theological Seminary and at UTS/Columbia University, NYC and was awarded an M.Div. in 1955. In 1968 Ben received a PhD degree with highest scholastic honors from NYU. His dissertation was in French, Russian and English entitled: Attitude of the Russian Government to Religion as Expressed in Radio, TV and in Russian language periodicals, 1959-65. Ben received a honorary doctorate from Houghton College in 1990. ROCK of Africa Mission is a relief outreach of the World Bible Society a 501(c)(3) nonprofit organization. © 2002-2013 ROCK of Africa. All Rights Reserved.